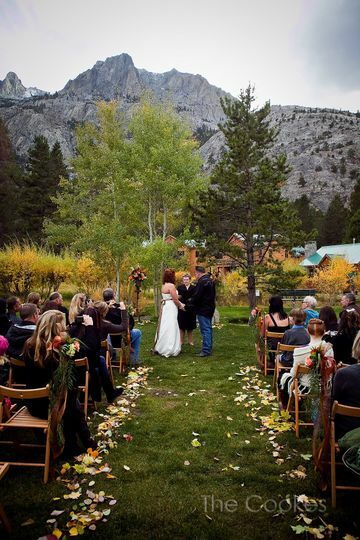 Double Eagle Resort and Spa is a wedding venue located in June Lake, California. 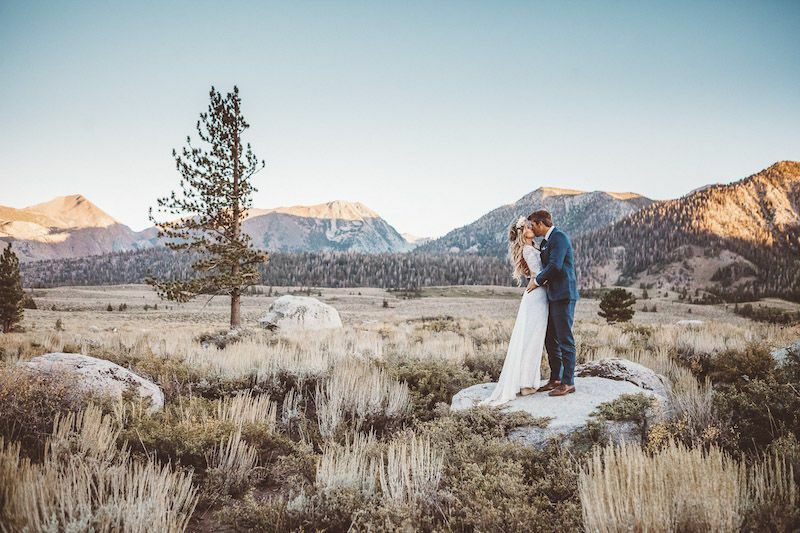 Well-known for its mountain weddings in the Sierra, the venue is 12 miles away from the eastern entrance of Yosemite National Park. 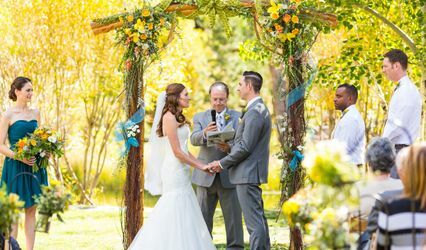 It offers stunning views of waterfalls, majestic peaks, and towering pines, which could serve as a perfect backdrop for wedding photos. Double Eagle Resort and Spa can host up to 120 guests. 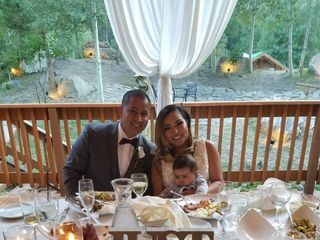 The main ceremony site is in a scenic mountain setting, located close to the rooms at the resort. 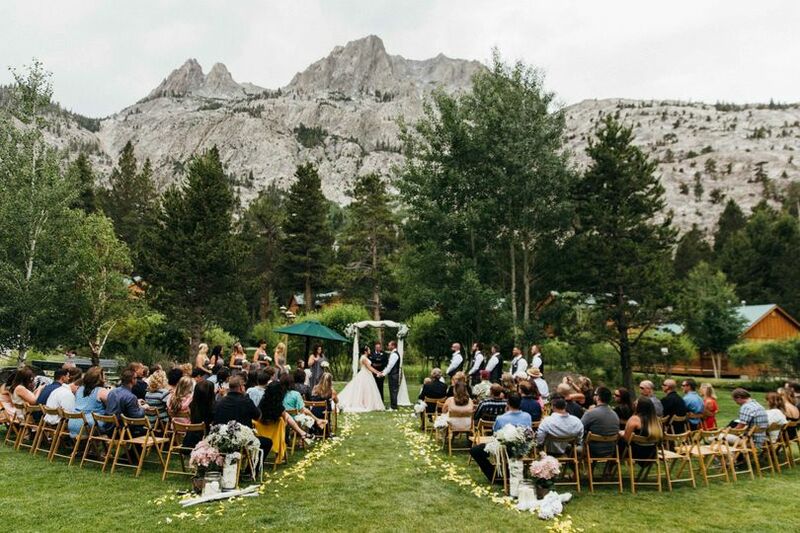 Guests are seated on a lush lawn, which offers the view of a glittering pond to the front and the impressive Carson Peak behind. Wooden chairs are provided for the guests to sit. 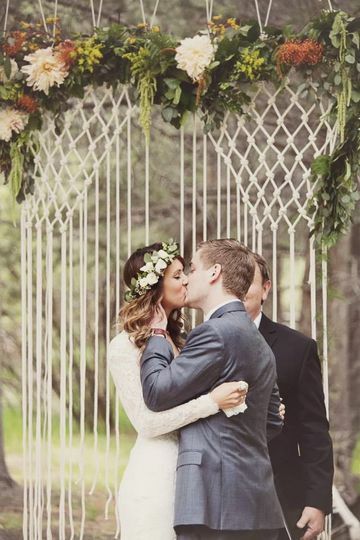 A wedding arch made from natural wood is available for couples for the wedding ceremony. 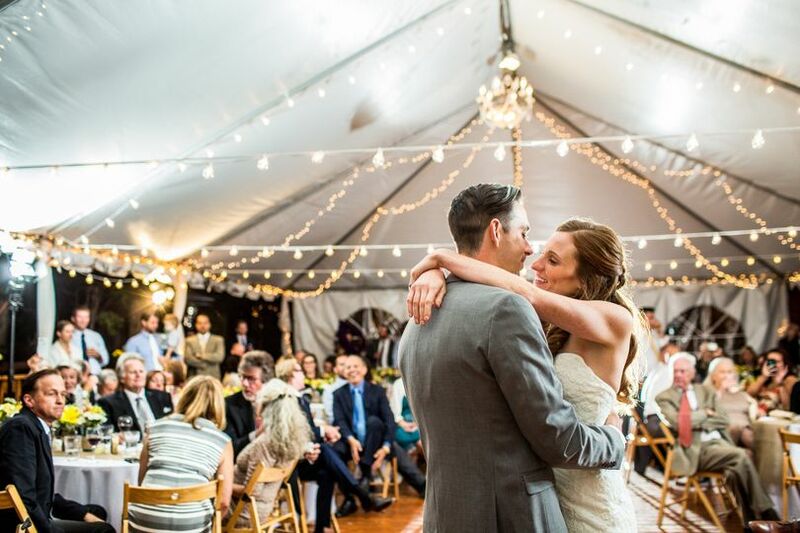 The reception area is a large, open, wedding tent set atop a wooden deck, offering panoramic views of the resort. We had the most beautiful destination wedding I could have ever imagined. Erica was our wedding coordinator and she made everything flow so easily. 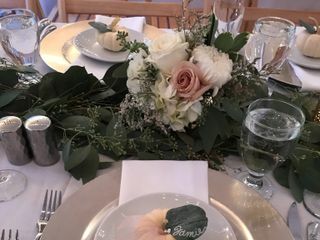 From our cocktail hour, to our dinner reception, everything was very well planned and executed. She was always available to answer all of our questions and she made our wedding vision come true. We love the resort, the location, the amenities etc.. 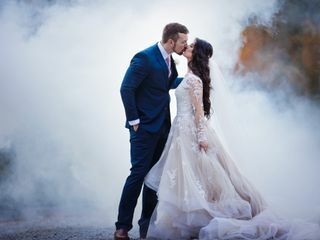 I highly recommend Double Eagle Resort and Spa for your fairytale wedding. 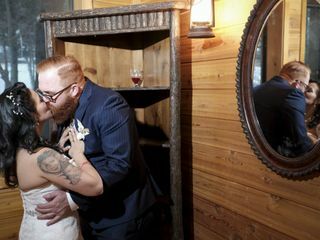 I am so happy I was apart of your big day! I wish you and Jon a life time of happiness! 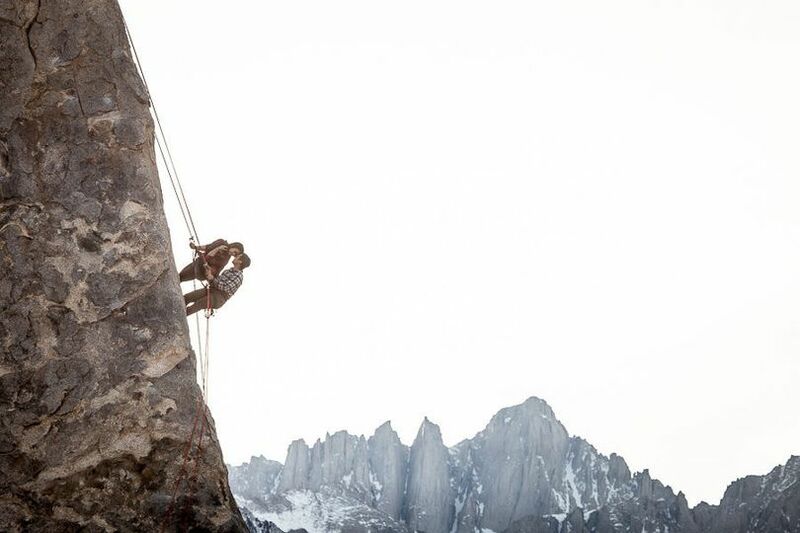 Our experience was unbelievably easy and you cannot beat the views and customer service throughout. 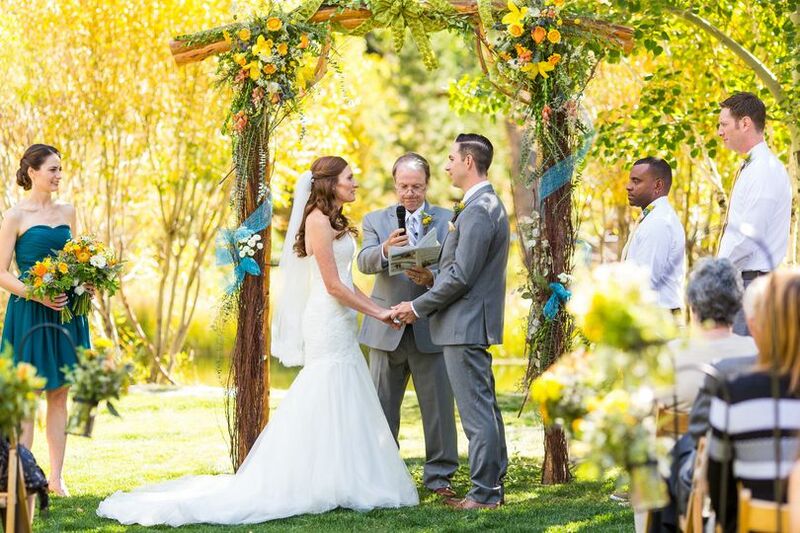 Erica (our on-site coordinator) was amazing at executing all our wishes. 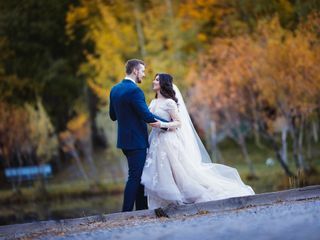 Our day was simply a fairytale and we couldn’t have asked for anything more perfect!! Erica kept us all calm, cool & collected as she orchestrated the entire evening and we can’t thank her enough! 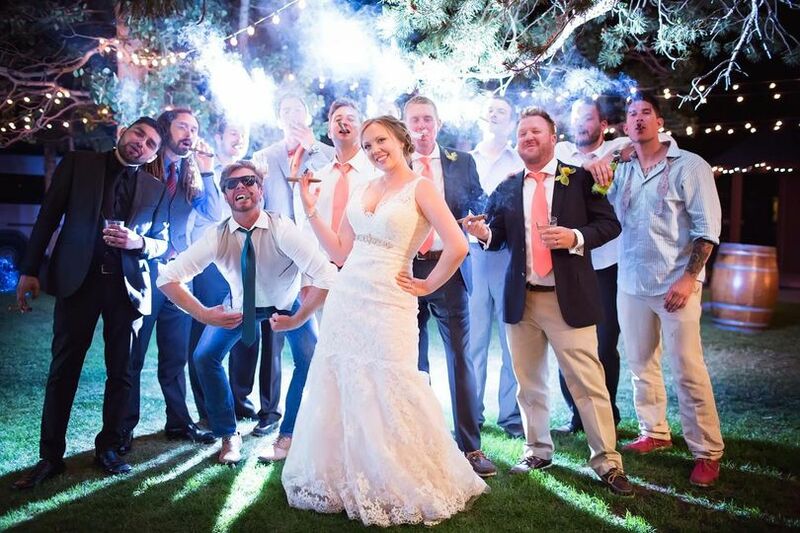 Complimentary Bubbly Toast for July 2016 wedding reception! 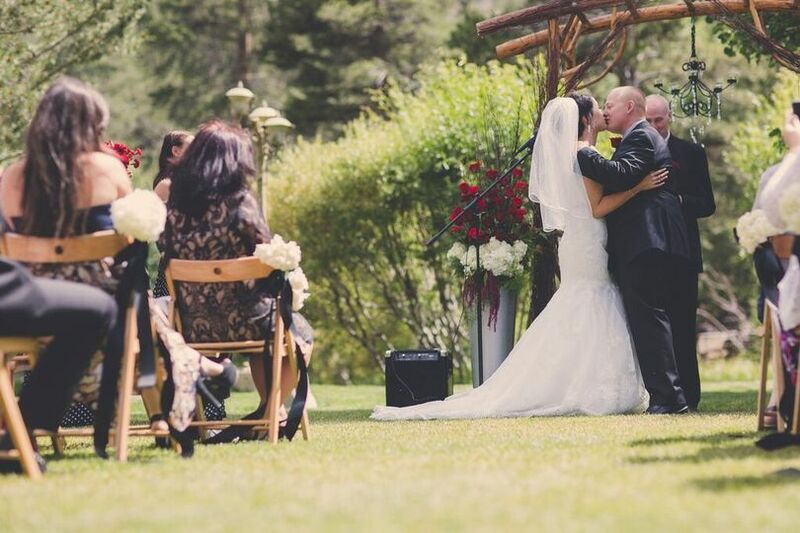 Double Eagle in June lake is one of the most beautiful places to get married. 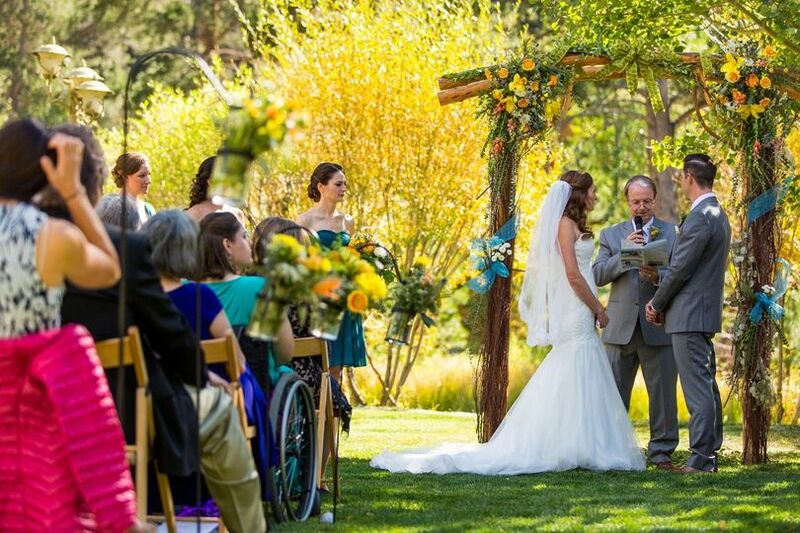 Their ceremony area is next to a tranquil pond with the mountains in the background. 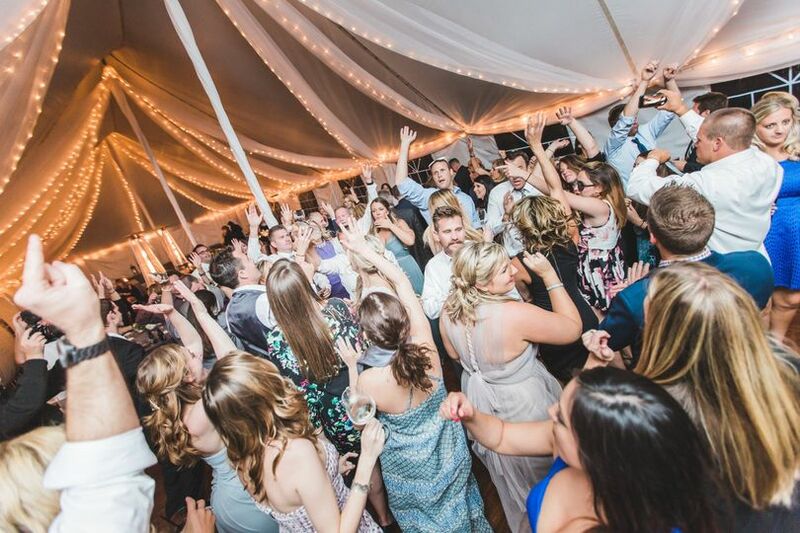 Staff is friendly and attentive and coordination is expertly handled by Erica. 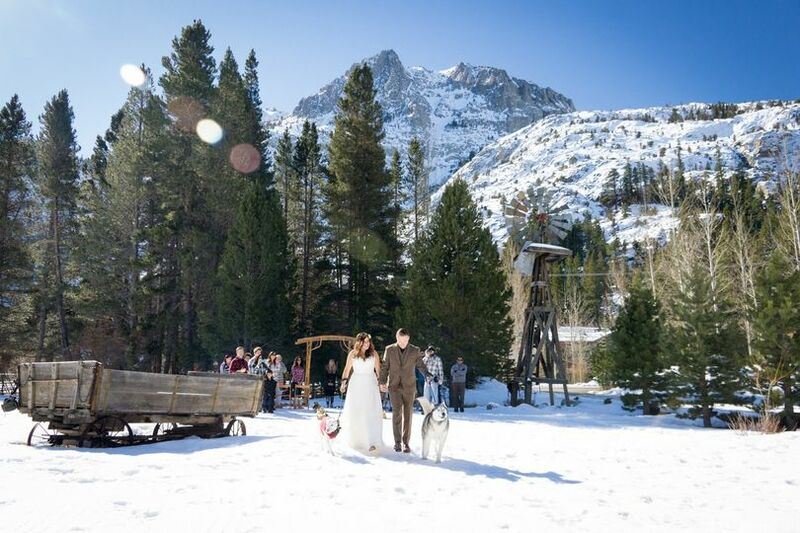 They should be one of your major choices when searching for the perfect Eastern Sierra wedding locations. 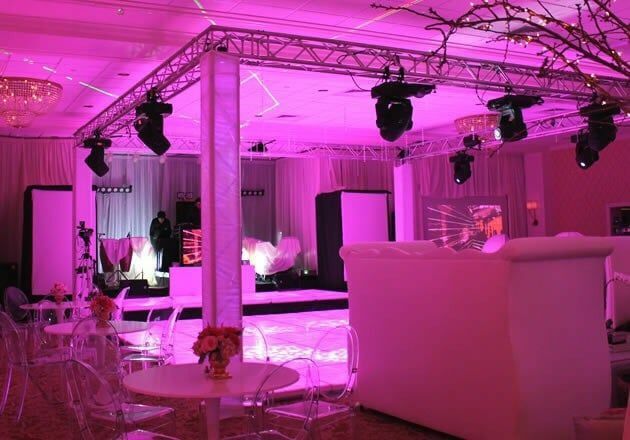 The Double Eagle Resort and Spa is a stunning venue! 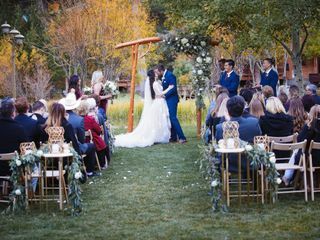 The ceremony location near the pond has one of the most gorgeous backdrops of the mountains, and the creekside reception location is beautiful. 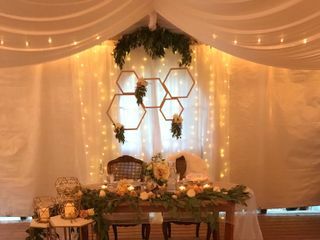 Not to mention they have cabins to house your guests, and they have a beautiful spa on-site to relax at before the big day! I had the pleasure of shooting a wedding here. The staff are top-notch, laid back, and highly professional. 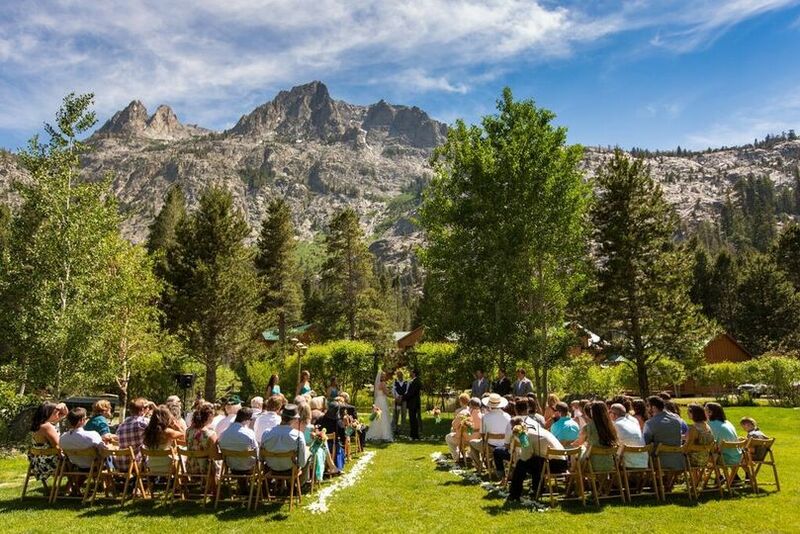 I would recommend any couple looking for a place to get hitched in the beautiful Eastern Sierra to consider Double Eagle.